The love of learning combined with the desire to discover and curiosity fuelled Claudette McGowan’s interest in technology at a young age. As the Bank of Montreal’s (BMO) newly appointed chief information officer (CIO) responsible for enterprise technology employee experience, McGowan leads a team of information technology professionals in bringing new workplace solutions to global office towers and branches. She provides a holistic view of the employee technology experience across the bank and works to create a new approach to how employees experience and adopt technology. 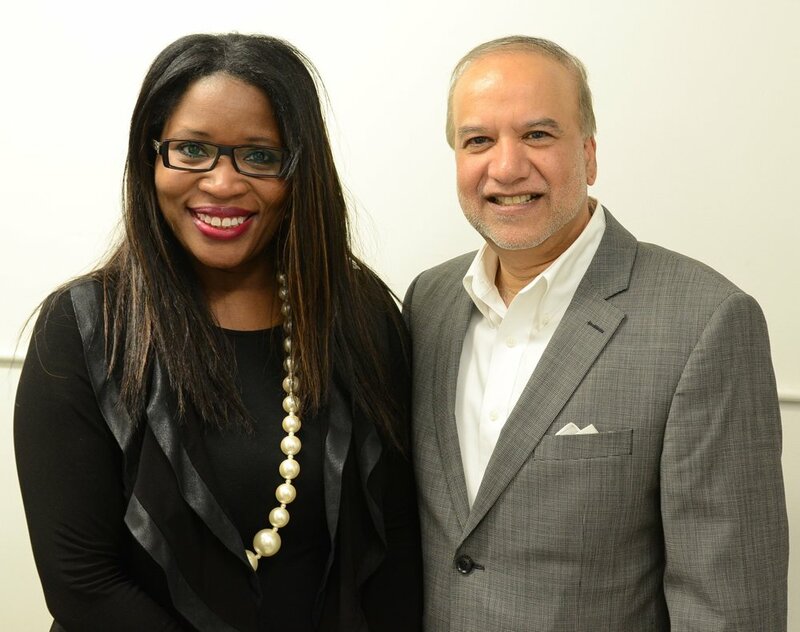 Claudette McGowan and Roger Mahabir, the chair and CEO of Tracker Networks Inc.
McGowan is also the technical leader for BMO’s ground-breaking urban workplace set to open next year. Located in Toronto’s Eaton Centre, the sprawling urban work space featuring a dual four-storey atrium, is expected to strengthen collaboration, accelerate innovation and contribute to building an industry-leading customer experience. The state-of-the-art facility will accommodate about 3,500 employees. Responsible for the technical deliverables quality, McGowan – who earned an MBA from Athabasca University in 2011 -- is excited to be leading the development team. Mona Malone, BMO Financial Group’s chief talent officer, said McGowan’s drive, bold vision, belief in what’s possible and tenacity make her a formidable force. Starting her information technology (IT) career in health care at Wellesley and North York General hospitals, McGowan spent three years working in the Toronto Police Service’s computing & telecommunications division as a key member of the desktop implementation program and mainframe operations group. After four years with Deloitte technology management team, she joined BMO in 2000 as a help desk manager. McGowan held several high-profile positions in the technology & operations division prior to becoming CIO last March. As director of operations for enterprise desktop, messaging & trading services, she managed a fleet of 110,000 computing devices and introduced iPhones & iPads for employees through an innovative ‘Bring Your Own Device’ program. Appointed vice-president of digital workspace services in May 2012, she led more than 700 technology professionals in the planning, engineering and support of workplace technologies across the bank’s branches and office towers. She also oversaw a multi-year strategy to deliver best-in-class technology support through the creation of a proactive employee experience team focused on enabling exceptional outcomes at every interaction. As Canada’s first bank founded in 1817, BMO provides a wide range of personal and commercial banking, wealth management and investment banking products and services to more than 12 million customers. The sheer size of the bank, the diversity of businesses, the large number of geographic locations and endless opportunities to make a positive difference for people appeal to McGowan who once promised not to spend an extended period with a company. Myra Cridland, BMO’s private banking head responsible for Canada and Asia, said McGowan has consistently pushed forward an agenda for change and innovation in digital technology that has made BMO a better place. 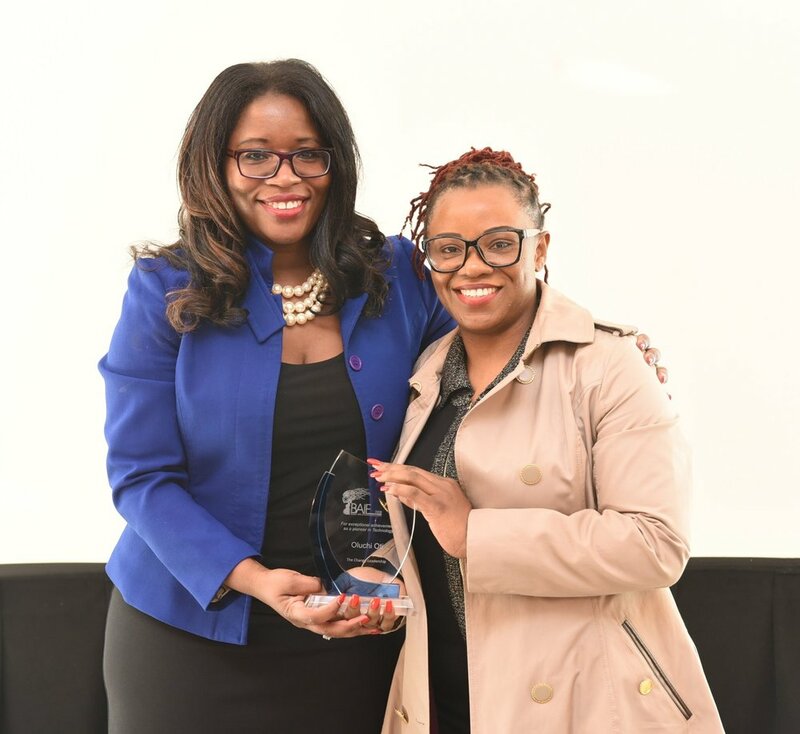 Five years ago, McGowan was the recipient of a Green4Good Visionary Award and in 2015, the Black Business & Professional Association recognized the technology leader with a Woman of Honour. Last November, she was included in the Women’s Executive Network distinguished list of Canada’s 100 Most Powerful Women. “When my mother came from Jamaica almost 50 years ago looking for opportunity, she was the first in her family to migrate to Canada,” said McGowan who completed high school at L’Amoreaux Collegiate Institute and has a Bachelor of Arts degree from the University of Windsor and certifications in digital buildings and IT, project and change management. BMO chief inclusion officer Rajini Nagendran isn’t surprised that McGowan made the list of outstanding women across Canada who advocate for diversity in the workforce and serve as an inspiration for the next generation of leaders. With a deep love and passion for giving back to her community, McGowan launched the Black Arts & Innovation Expo in 2015. 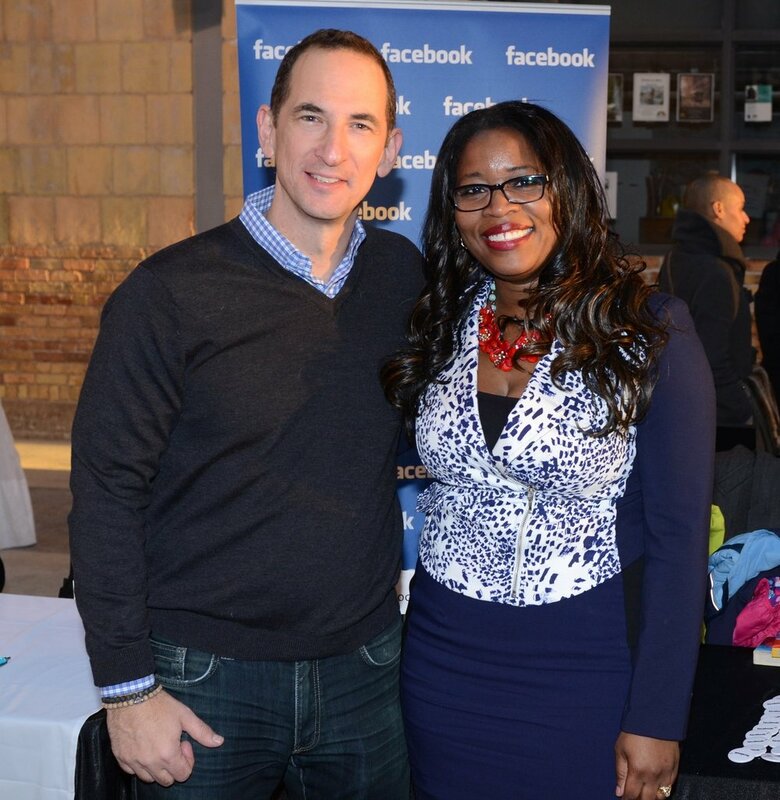 Seven years earlier, she started Excelovate Canada which collaborates with First Book Canada to host the Expo during Black History Month to celebrate forward-thinking Black creators who are working diligently under the radar to make a positive difference locally and globally. Trailblazer awards and scholarships are presented at the annual celebration. A professional coaching firm registered with the International Coach Federation, Excelovate is also a full-service Canadian publishing house that assists organizations with specialized advisory services in publishing, mobile application development and coaching. It also creates productivity and gaming apps for a variety of platforms, including Apple iOs, Android, Windows and Blackberry. In December 2017, McGowan and her husband of 20 years – Ian McGowan – opened Rapid Riderz Innovation Centre in Aurora. The learning facility specializes in robotics, 3D printers, virtual reality and software development training.